Sarah Louise Palin is an American politician, commentator, and author who served as the ninth Governor of Alaska, from 2006 to her resignation in 2009. As the Republican Party nominee for Vice President in the 2008 Presidential election, alongside Arizona Senator John McCain, she was the first Alaskan on the national ticket of a major political party, and the first Republican woman nominated for the Vice Presidency. Her book Going Rogue has sold more than two million copies. She was elected to the Wasilla City Council in 1992, and became Mayor of Wasilla in 1996. In 2003, after an unsuccessful run for Lieutenant Governor, she was appointed Chairman of the Alaska Oil and Gas Conservation Commission, responsible for overseeing the state's oil and gas fields for safety and efficiency. 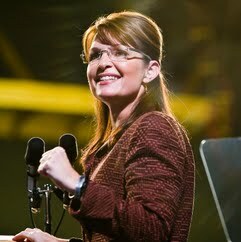 The youngest person and first woman to be elected Governor of Alaska, Palin held the office from December 2006 until her resignation in July 2009. Since leaving office, she has endorsed and campaigned for the Tea Party movement, as well as several candidates in multiple election cycles. From 2010 to 2015, she provided political commentary for Fox News.